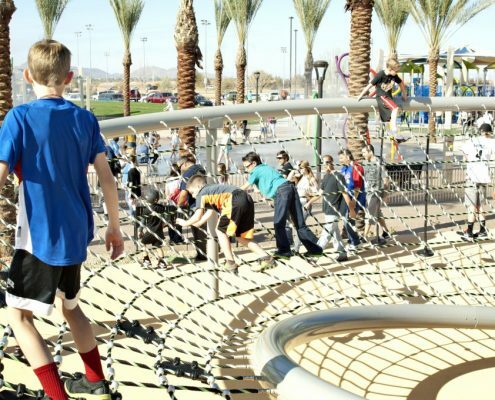 Dynamo is the world leader in innovative playground equipment.Our stunning designs and masterful engineering ensure that every piece we build inspires the imagination of children everywhere. 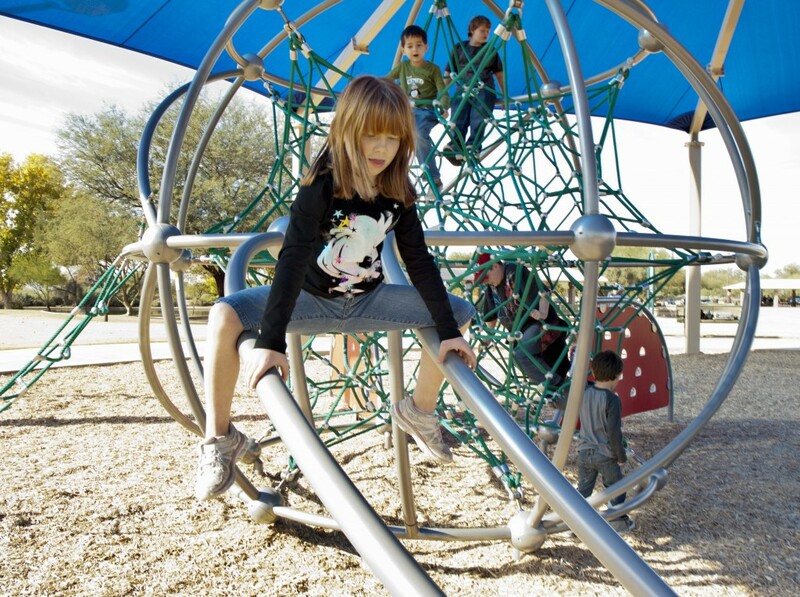 Our primary mission is the creation of the safest, most durable and most fun playground equipment in the world. 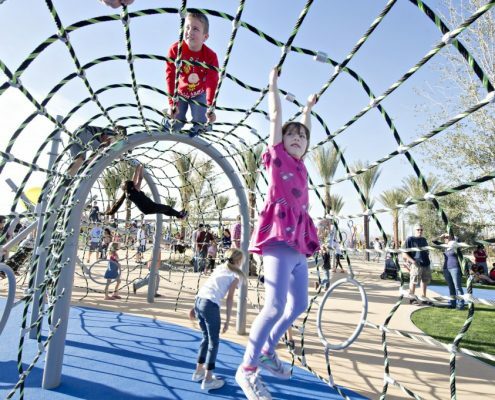 For a quarter century, we’ve produced revolutionary designs that promise and deliver the kind of real adventure and excitement that fuels children’s imagination. 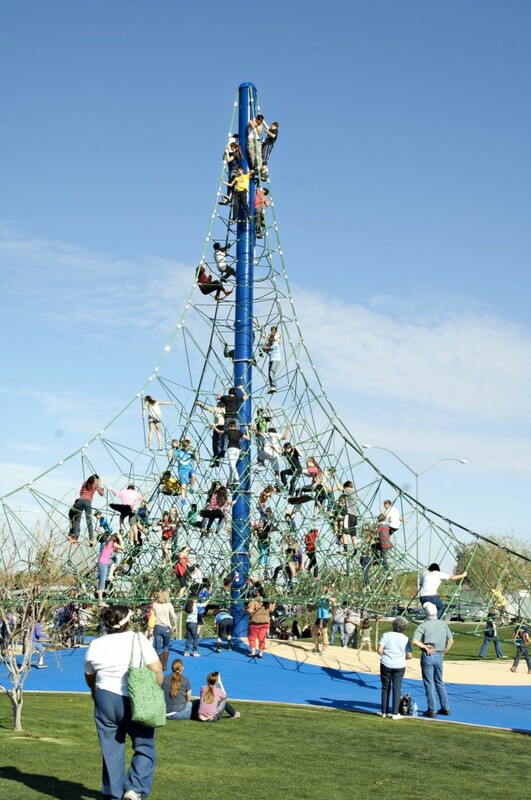 Rope rockets that reach the stars, Biggo swings that travel the world like flying carpets, Basketball courts that last a lifetime are just a few of the ways that Dynamo has re-ignited playground magic. Never limited by industry norms, we took the lead and created a new standard in fun and innovation. 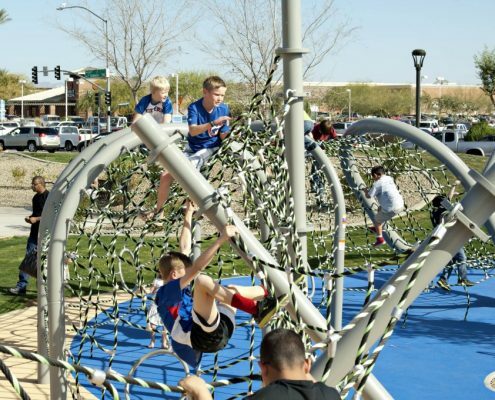 Revolutionary looks, meticulous attention to detail and a global search for the finest materials and methods have come together to create today’s safest playgrounds, that stand apart and are designed to last for generations to come. 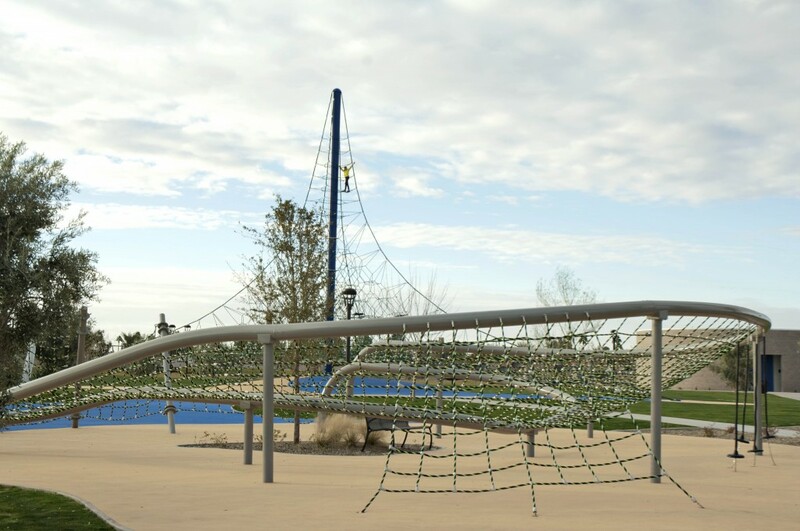 Dynamo’s engineers have created the safest, longest lasting, most attractive cabling in the playground industry. Using proprietary technology, they’ve infused the beautiful nylon cable coatings with UV protectants and flame retardant solutions in the extrusion process. 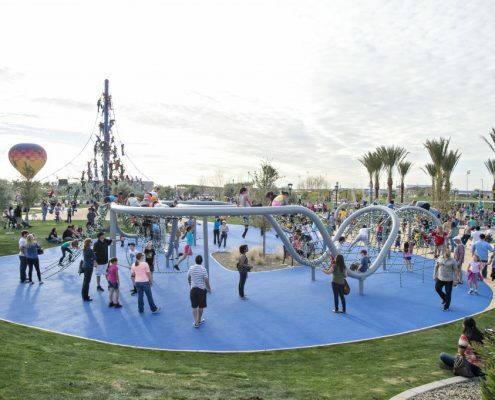 They use these vibrant threads to weave a braid around 144 strands of galvanized steel to produce the play structure rope. This unique process keeps the ropes beautiful to see, soft to touch and stronger than any other cabling available. 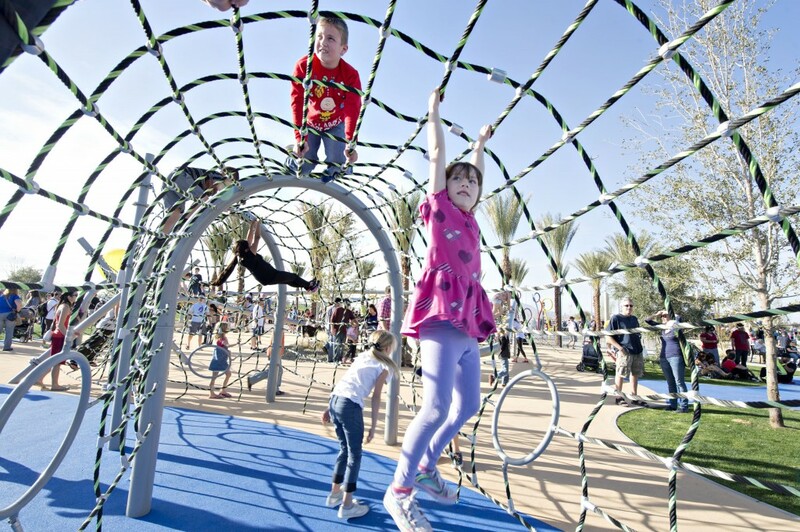 The vibrant colours will immediately appeal to children of all ages, but the ropes will also feel just as good to the touch. 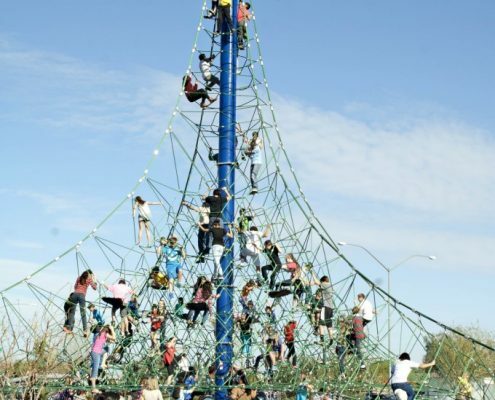 A class 8 UV Colourfastness rating keeps the ropes looking new and the special nylon formula and unique weaving of threads means that Dynamo Ropes are resistant to fading, wearing and fraying for years. 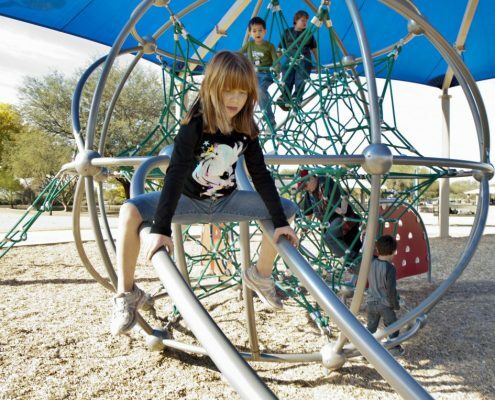 Dynamo’s metal junctions are the magic that enables Dynamo designers to create our ever-growing collection of unrivalled play structures. The team examined every possible variation of plastic and steel connector, but many used connecting screws and pins that ultimately damaged the ropes in time. This exhaustive search resulted in the creation of the DX system of moulded high-density aluminum. Compressing with 120 tons of force gives them incredible strength and a beautifully smooth finish. 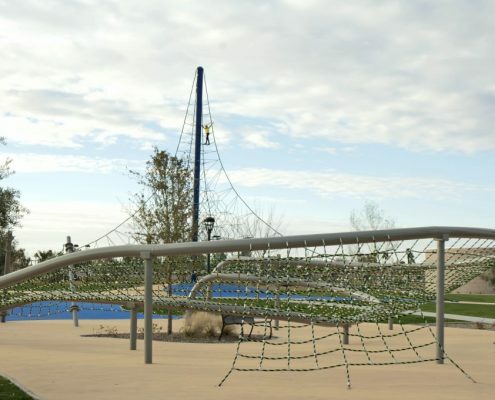 This system eliminates any risk of friction at connection points and ensures that the rope’s integrity and longevity are never compromised. Dynamo even created a portable machine press that can be used to repair a structure on site in the rare case of extreme damage. 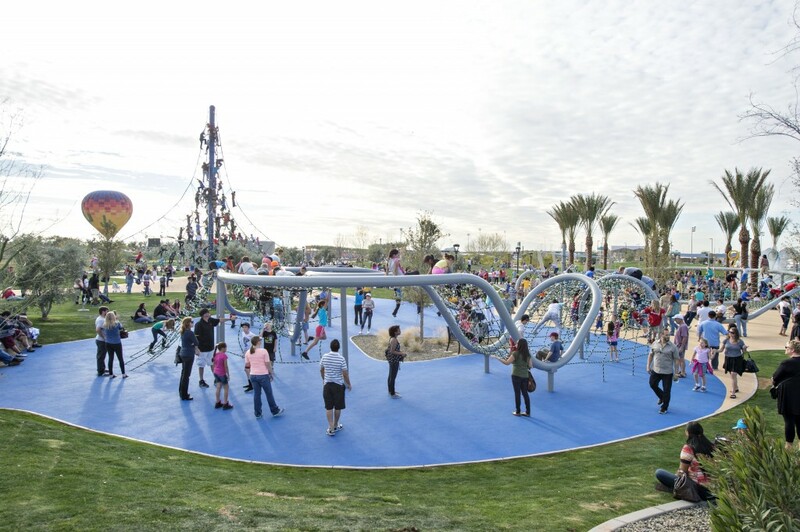 True play value has many factors.High user capacity with less space & materials used than traditional designs, universal availability in each structure, and long-term durability are only some of the key points that Dynamo features. Our exciting Dynamo games will appeal to children of all ages, from pre-school to teens, and crowds of them. 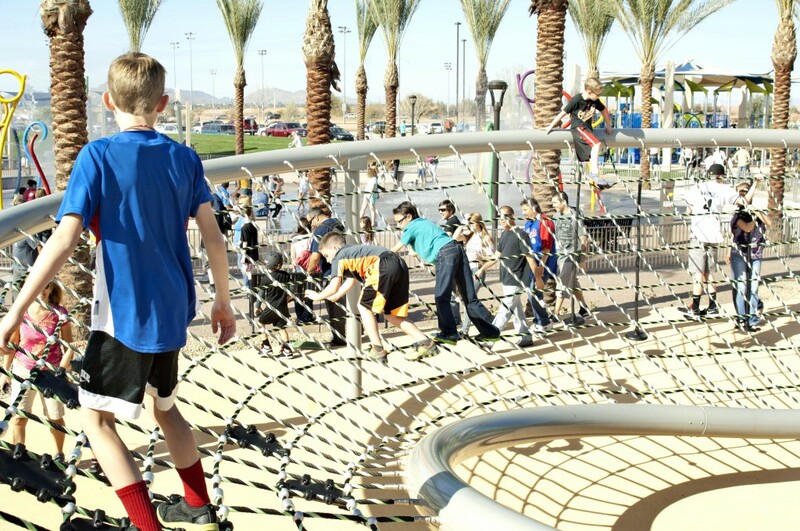 You won’t believe how many kids will come when you open your new Dynamo inspired playground! 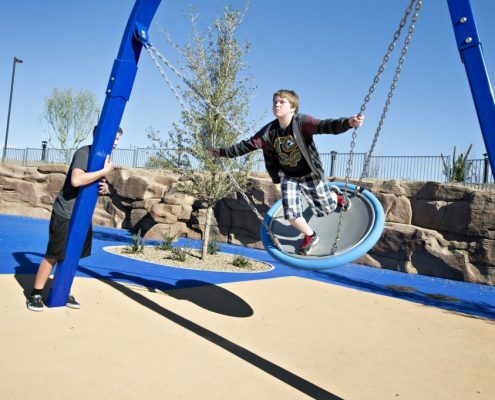 Getting the children to stay outside and play is never a problem with our active and inclusive game designs. More fun than a virtual world, they will stay engaged for hours. Your only problem may be getting them home for supper. 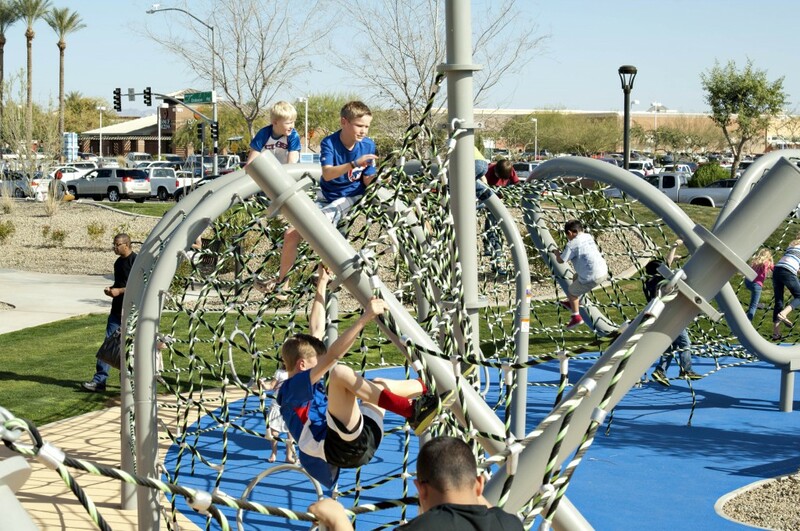 Kids can be fickle, but we guarantee children will want to go back and play on our Dynamo playgrounds again and again. 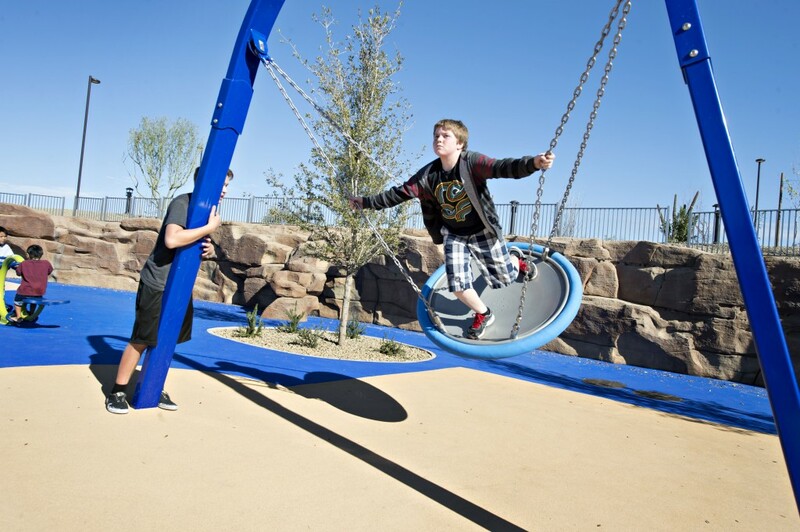 Buyers of our playground equipment will always receive fantastic value for their investment.